Franklin Lofts is a four story converted loft in the Nicollet/Frankin neighborhood. Originally an office building, these stylish units were transformed into spacious 2-story residences in 2004. Full of desirable industrial features like exposed ductwork and mile high ceilings, Franklin Lofts would satisfy any homebuyer searching for a converted loft space in central Minneapolis. Located just minutes from downtown Minneapolis and Uptown, residents of Franklin Lofts are just down the street from entertainment, nightlife, and parks. Delicious eats along Eat Street provides ample dining options and the Art Institute is just a couple of blocks away. See all Franklin Lofts for sale in Nicollet/Frankin or learn more about this condo development in Steven's Square. 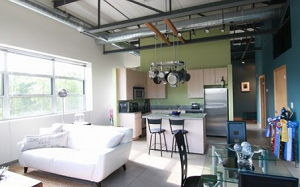 Looking to live at Franklin Lofts in Minneapolis but not finding what you are looking for? Inquire about our 'off MLS' Minneapolis Condo and Loft pocket listings. While total square footage is modest ranging from 800-875 sq. ft., the units at Franklin Lofts offer all the raw finishes that make industrial conversions so popular among homebuyers: 22 ft. vaulted ceilings, large windows, and exposed ducts. Contemporary touches like hardwood flooring, stone counter tops, and stainless steel appliances add a cozy element that's irresistible. Perfect for students, artists, and trend-seekers alike. 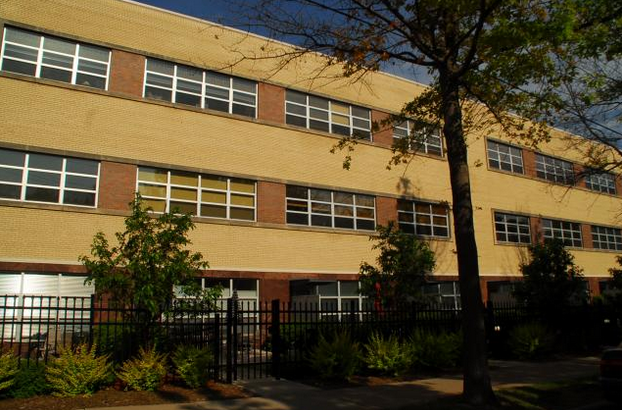 Franklin Lofts are located in the up and coming neighborhood of Nicollet/Frankin. Accessible by the LRT, bike trails and bus routes this area is highly walkable and offers lots of nearby amenities for residents. 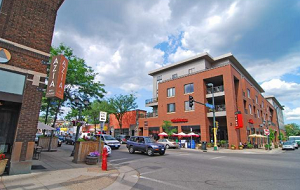 Close to Nicollet Avenue (aka Eat Street), downtown, and the Uptown entertainment district, its central location is ideal for car-free living in Minneapolis. Also nearby is Washburn Fair Oaks, a nice community park with stunning views of the city. Parks: Washburn Fair Oaks, Stevens Square Park, Minneapolis Sculpture Garden, Loring Park, Franklin Steele Park, Whittier Park, Peavey Field. Restaurants: Crave Minneapolis, Vincent A Restaurants, The Nicollet, Evergreen Chinese Restaurant, Akwaaba Restaurant, Tibet Kitchen, Pancho Villas Grill. Shopping: CVS Pharmacy, Macy's, Flutter Boutique, Gaviidae Common, Frattallone's Ace Hardware, Target. Schools: Loring Nicollet School (Public, 9-12), City of Lakes Waldorf School (Private, PK-8), Urban League Academy High School (Public, 9-12), Southside Family School (Charter, K-8). 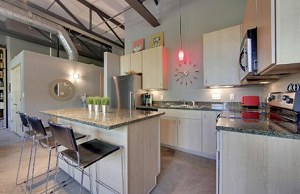 Do you own a condo at Franklin Lofts and happen to be thinking about selling? Let me assess your condos value and get you a price quote. Fill out my condo sellers form and our team of Minneapolis condo experts at Downtown Resource Group will get back to you with more information on the recent sales activity in your building as well as provide you a marketing plan and general market assessment. 227 Properties Found. Page 1 of 19.